Enfain USB Flash Drives Feature: 1. TwistTurn Design. The metal cap could be rotated 360 Degrees over the colored casing. 2. The overall size of the USB is 2.13"*0.76"*0.4" (fold). It comes with Lanyard hole. 3. Capacities availabe in 128M,256M,512M, 1GB, 2GB, 4GB, 8GB, 16GB, 32GB. 4. 10 Color Options: Black, Blue, Gray, Green, White, Orange, Purple, Yellow, Pink, Red. Tech Specifications: Chip: Grade A, original brand Interface Type: USB 2.0. USB 2.0 Compatible (Backwards compatible to USB 1.1) Writing speed: 3mb/s-6mb/s Reading speed : 5mb/s-10mb/s Compatibility: Desktop, Laptop, Macintosh, Tablet, Speakers all with USB port Operating System : Windows 7/Vista/XP/2000/ME/NT/98,Linux and Mac OS Operating Temperatures : 32? F to 140? F (0? C to 60? C) Storage Temperatures: -4? F to 185? F (-20? C to 85? 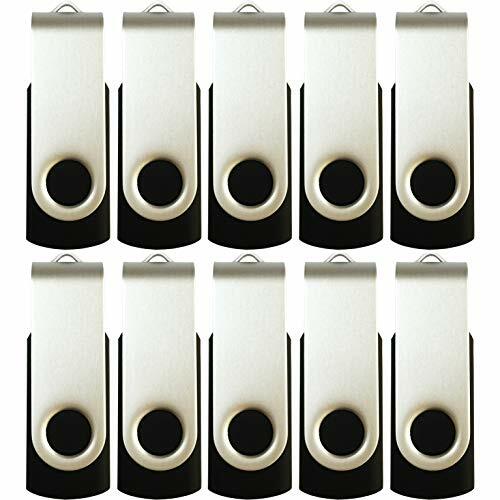 C) Package Included: 10 x Flash Drive Tips: Some of the listed capacity on a Flash storage device is used for formatting and other functions and thus is not available for data storage. As such, the actual available capacity for data storage is less than what is listed on the products. Service: Thank you for choosing Enfain products. If you are not happy with Enfain products, please do not hesitate to contact us. In every customer relationship, Enfain strives to be a trusted partner and seeks to achieve 100% customer satisfaction. If you have any questions about this product by Enfain, contact us by completing and submitting the form below. If you are looking for a specif part number, please include it with your message.